Since the huge 5 year remodel of Disney California Adventure, most of the park had seen the introduction of new cohesive themed environments. This includes Buena Vista Street, Cars Land, Paradise Pier and so on. Unfortunetly a few areas of the park remained untouched from their opening day appearance and often felt very out of place with the new California Adventure. This included the Condor Flats area, home to Soarin’ Over California and Taste Pilots Grill. With 60th Anniversary of Disneyland on the horizon, this gave Imagineers a great opportunity to look at the former Condor Flats area and put it under the knife with the removal of the old desert style abandoned runway and introduction of a 1930’s style wooded airfield. 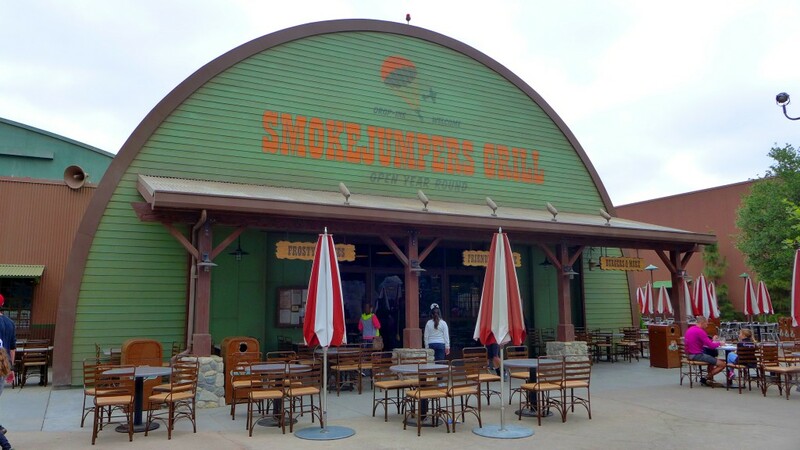 Taste Pilots Grill was the first thing to see new life with the introduction of Smokejumpers Grill, inspired by the men and women who even today, risk their lives by parachuting into a wildfire area that is often too remote for conventional fire services to handle. The new overlay is chalk-full of homages and nods to firefighters and those who work day in and out to rescue and help stranded hikers. 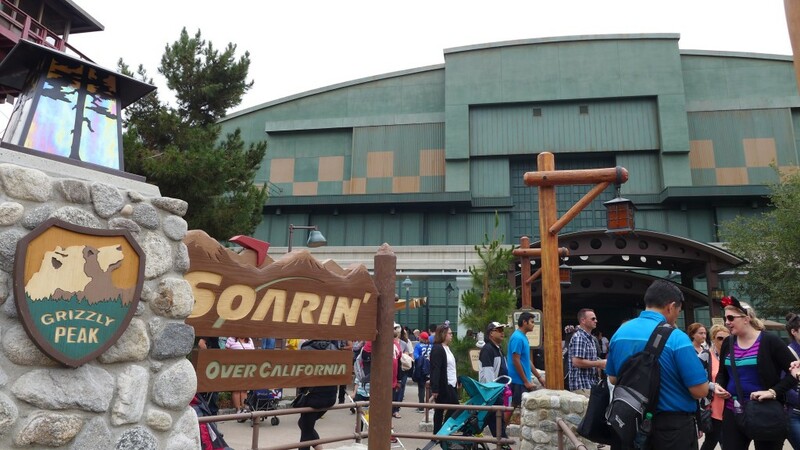 Soarin’ Over California also received a lot of love both externally and internal. The whole hanger/show-building was given a new paint job and aged to make it look like it’s been under constant use. They also removed and relocated the main marquee of the attraction to a more centralized location which is now easier to locate from outside the land. On the inside the ride has been completely upgraded to digital Ultra-HD projection after running on ancient 70mm projectors since opening day. The main queue and spiels on the inside was seemingly refreshed but otherwise unchanged. 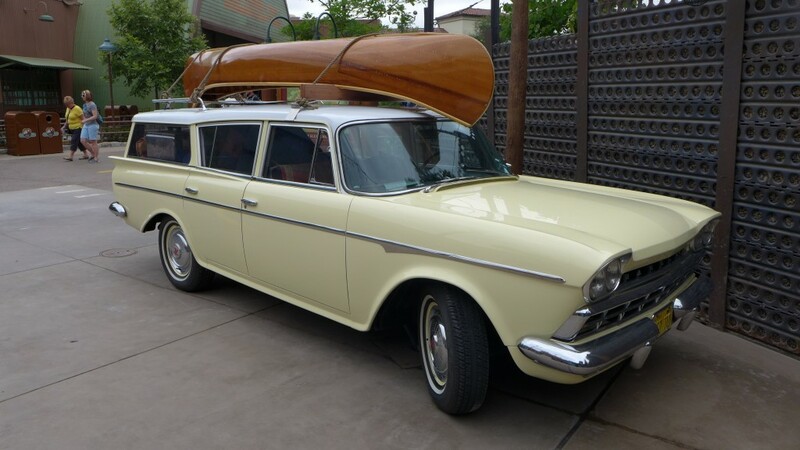 This new Rambler Wagon was added and made to look like a family is filling up for gas and on the way to a campsite. The car is full of luggage and tiny details worth spotting. Possibly a hidden mickey or two? The introduction of vehicles does wonders for this area of the park as it now seems more life-like than ever. The final major change to this area was the total removal of the giant rocket booster/water play area and introduction of a new forest watch tower. Underneath are many bulletin boards with details promoting forest fire awareness as well as introducing further back-story into this new area of the park. 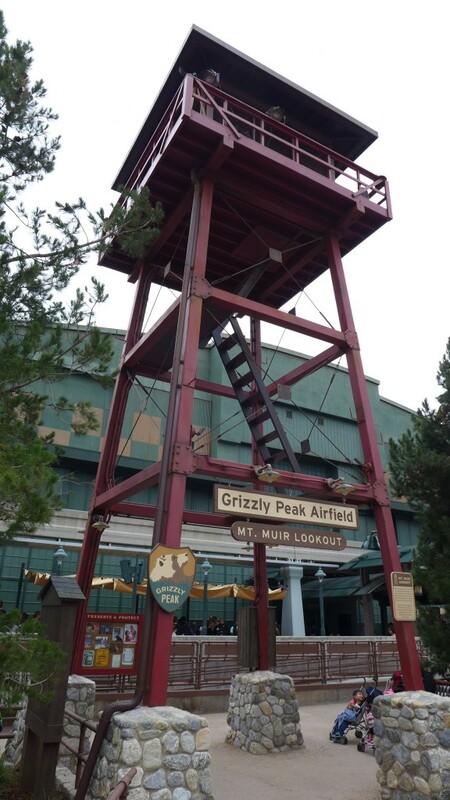 Overall ‘Grizzly Peak Airfield’ is a wonderful renovation of a seemingly confused part of the park. It offers the scenic beauty of Grizzy Peak with the storytelling mastery found throughout the rest of the park. It also gives the area a sense of time and place, while still feeling very much timeless. Something the Imagineers have been excelling at with Disney California Adventure. For more images of the Grizzly Peak Airfield be sure to check out the Flickr gallery below. Stay tuned for more from Disneyland and California Adventure including the 60th Anniversary, and be sure to get social with us on Facebook, and follow along with us on Twitter @BehindThrills for the latest updates! Previous PostSpooky Empire's Halloween Horror Nights dives into the event, while staying tight lipped Next PostHalloween Horror Nights Orlando's Mike Aiello reveals "The Lost Icon"